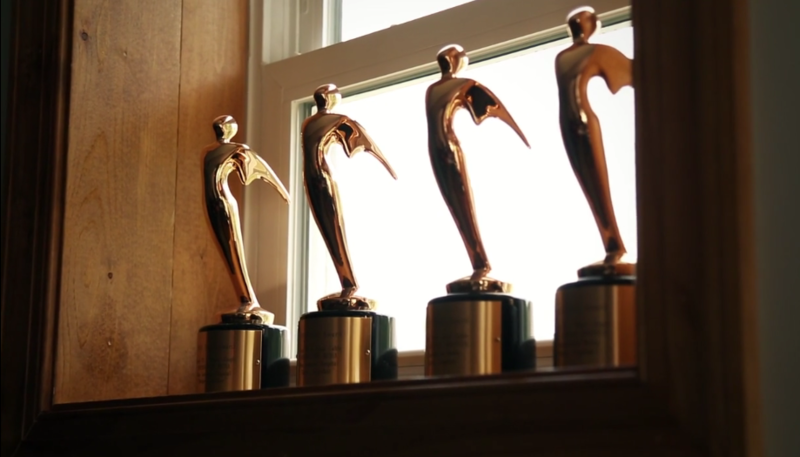 We are excited to announce we recently won five national Telly Awards for our video marketing efforts for two clients as well as our own video campaign. The Telly Awards was founded in 1979 and is the premier award honoring the finest film and video productions, groundbreaking web commercials, video and films and outstanding local, regional and cable TV commercials and programs. People’s Telly Awards are based on voting of the public viewing in which entries are posted on their custom-voting page. To learn more about the Telly awards, visit their site: tellyawards.com. We won a Telly and a People’s Telly for Travis Miller Attorney at Law, and the marketing campaign included “The Hunter” 15 second and 30 second TV commercials that aired on local TV stations including WBOY, WDTV and Comcast Cable to brand Miller as a leading personal injury lawyer in North Central West Virginia. We also won two People’s Telly awards for 30 second and 60 second TV commercial spots created for the Zelda Stein Weiss Cancer Center of Mon General Hospital, which featured two cancer patients’ stories, Candy and Corrine. Our integrated marketing campaign won an award, which included three service films focused on video production, web development and inbound marketing. All of the 2016 Telly award winning videos can be viewed here. We are an advertising and inbound marketing agency with proven expertise in providing marketing communications to connect organizations with their target audience personas. IAM has vast experience in marketing hospitals, attorneys, construction and real estate. We are headquartered in Morgantown, W.Va., and serve the Pittsburgh DMA as their primary market.